Our game development experts develop 3D games and application using Unity 3D tool for various platforms including iPhone / iPad and Android based smart phones, tablets. Our game developers using advance technology / tools and develop visually attractive UI and responsive games that keeps the gamers engaged. We help our clients to turn their creative ideas into games by providing cost-effective solutions with quality. Our experienced programmers create theme, graphics, and build interactive games with innovative ideas. 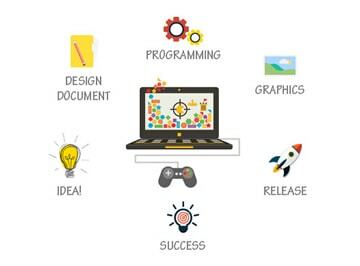 By using agile development cycles we remove all hurdles that they may encounter in development process and support you at every stage from game design to final publish in leading app stores. To meet enterprise modern needs, we deploy some of the best talent in the industry and have crafted interactive and highly engaging games. By capturing the essence of uniqueness in your idea and embellishing it with relevant features we help you gain long term benefits and business returns. Are you looking for game development companies to work on your game development project? To avail our Unity 3D game development services for desktops, consoles, mobile and browsers contact us.